By acting on suspicions of child sexual abuse, you will save not only one child, but perhaps countless others. Many of those who sexually abuse children have multiple victims. You may be faced with a situation where you suspect abuse but don’t have any proof. Suspicions are scary, but trust your instincts. Have the courage to report the suspected abuse. What if I’m Not Sure, Where Do I Go? Child Abuse Helplines have staff specifically trained to deal with questions about suspected child sexual abuse. Call Darkness to Light’s helpline, 1-866-FOR-LIGHT to be routed to resources in your community, or call the Childhelp USA National Child Abuse Hotline, 1-800-4-A-CHILD. Children’s Advocacy Centers coordinate all the professionals (legal, social services, medical) involved in a case. If you’re unsure about whether to make an official report or just need support, contact a children’s advocacy center. The staff will help you evaluate your suspicions and your next steps. 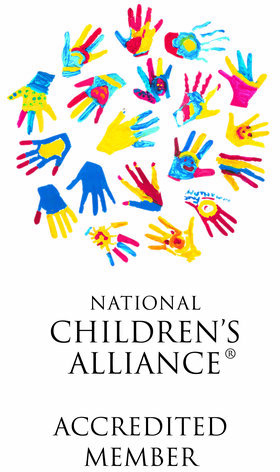 To find a center near you, contact The National Children’s Alliance at www.nca-online.org or 1-800-239-9950. Talk to the child’s parents (as long as they are not the abusers) and provide educational materials, such as this booklet. If the parents seem indifferent or unlikely to take action, call one of the recommended sources. These resources can help you if you are unsure of whether abuse has occurred, but they do not substitute for making an official report. Remember that you may be a mandated reporter in your state and you may be the only source of protection for that child.